Vote for us at K9 Contest, enter your information and use “NC K9 Emergency Response Team” for the department name! WENDELL, NORTH CAROLINA – The North Carolina K9 Emergency Response Team is a 501(c)(3) non-profit Search and Rescue team based out of Wendell, North Carolina. NC K9 ERT has been nominated to participate in the 4th annual K9 fundraising competition sponsored by Aftermath Services. The winning K9 team, from anywhere in the country, will take home a check for $5000.00 that may be used for training and operations. NC K9 ERT trains and promotes the working dog for search missions, and supports evaluations for search dogs. NC K9 ERT provides highly skilled search teams 24 hours a day, responds to requests from Law Enforcement, Emergency Management, Fire Departments or other Official requesting agencies, during natural or manmade disasters, drownings, and lost or missing persons in urban and wilderness settings, at no cost to the requesting agency. Many of these calls include crime scenes and murder cases. Police Departments around the state rely heavily on NC K9 ERT’s highly trained Human Remains Detection K9’s to help bring home the lost, and missing whether the victim left voluntarily; for those with cognitive impairments or those who’ve been kidnapped and possibly murdered. 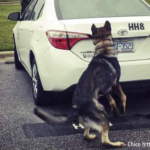 Because NC K9 ERT does not charge for their services, members must pay out of pocket not only to train but also for their response to searches in North Carolina and sometimes out of state. 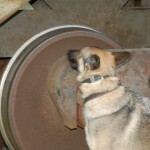 This can cost the average K9 Handler upwards of $2,500.00 or more per year per handler. Volunteer teams such as NC K9 ERT must obtain funding solely through donations and grants. This funding is normally used for training and team operations, offsetting K9 medical costs, responding to crime scenes and other searches or to provide continuing education for their handlers. NC K9 ERT members train hundreds of hours per year, requiring many certifications for both the handler and K9. It’s rigorous, unforgiving and relentless. Because of this, the team is requesting your vote in the 4th annual Aftermath Services K9 Competition. By voting for NC K9 ERT, the public can participate in bringing home the lost, with no out of pocket cost. 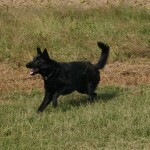 NC K9 ERT trains and promotes the working dog for search missions, and supports evaluations for search dogs. NC K9 ERT provides highly skilled search teams 24 hours a day, responds to requests from Law Enforcement, Emergency Management, Fire Departments or other Official requesting agencies, during natural or manmade disasters, drownings, and lost or missing persons in urban and wilderness settings, at no cost to the requesting agency. In addition, NC K9 ERT works to promote understanding and public awareness of the role of search dogs and to further the public knowledge, interest and use of search and rescue trained dogs through public demonstrations and lectures to state and local agencies, schools, civic organizations, retirement and rest homes. Trained in Wilderness and Cadaver (water & land) searches, these teams undergo rigorous training and must meet strict standards before they are deployed on a mission. Ongoing training and continuing education is required for all members to maintain their skills at optimal levels. Training in search and disaster response is conducted in diverse situations and often entails more than 50 hours per month for each member. All members are responsible for providing their own personal equipment. Contributions and donations are solicited to help defray the costs of team equipment, (radios, PFDs, First Aid Kits, etc.) training, and travel expenses. Aftermath Services LLC is the premier, nation-wide crime scene clean up and biohazard remediation company. Call one of our local offices for crime scene cleanup, biohazard cleanup, death cleanup or blood spill cleanup, any time – day or night. Aftermath’s crime scene cleanup teams have handled blood cleanup, communicable disease decontamination and specialty sanitization for thousands of crime scenes, hoarding situations and contaminated buildings. We understand that not only are these situations unexpected and upsetting, but they can also be dangerous and difficult to clean. Our code of service, The Aftermath Way, is more than a cleaning regimen. We believe that our customers deserve the highest quality service while being treated with dignity and respect. We use discreetly marked vehicles to maintain confidentiality. We document the work we perform in detailed reports provided to you for your insurance company or compliance department. Our company-owned network includes more than 32 regional and mobile offices, strategically located in major metropolitan centers around the country. Our locations are staffed with qualified and experienced crime scene cleanup professionals. We provide business and residential customers with a full range of biohazard remediation and cleaning assistance in cases involving homicide, suicide, unattended death, personal accidents, industrial accidents, tear gas, and communicable disease outbreaks.